In The Weeds: Literally and metaphorically describes the artistic life of these two prolific artists. Working on the idea of seaweed and underwater goodness, the idea of collaborating with the concept of an underwater forest was irresistible and exciting for Carla and Erica. But what happens when life throws each a little curveball? In Carla Goldberg’s case it was a heart attack just prior to making her show and trying to get on her feet again, which has brought a new sense of urgency to her work. For Erica Leigh Caginalp it’s becoming a new mom and juggling her art life and her mommy life with her new daughter. Life is unpredictable and both have at times felt themselves somewhere in the weeds. Yet these two find a strange comfort and camaraderie there. It’s in that process of making art that they find that essential sense of self, and to some extent, freedom. In his third exhibit at Bau gallery to date, artist Russ Ritell will showcase several paintings through the month of October. “Progression” will include multiple, (coupled), works that show the development in a series of evolving concepts. A graduate from the School of Visual Arts in Manhattan, Russell Ritell has been working as a prolific illustrator,fine artist, designer and animator for over 20 years. Often collaborating with clients to resolve challenging assignments, this combination of skills has allowed Russ to grow and expand his artistic range by using different mediums to express himself conceptually as a project evolves. Russell has been successful in creating installations and artwork dealing with social, political economic and emotional themes. He has exhibited his work in Manhattan, Brooklyn, Harlem, New Jersey and the Hudson Valley. Detail of "Earthless" and "Cosmic Messenger"
The exhibition runs from Oct.10-Nov. 8 at BAU gallery in Beacon, with an opening reception on Saturday, the 10th from 6-9pm. Decades before it became a asset for global oligarchs needing a place to stash their money for a rainy day, contemporary art was a serious pursuit, one synonymous with the New York art world. The New York art word, in turn, was synonymous with the legendary Leo Castelli Gallery , which represented just about very major artists of the postwar era. 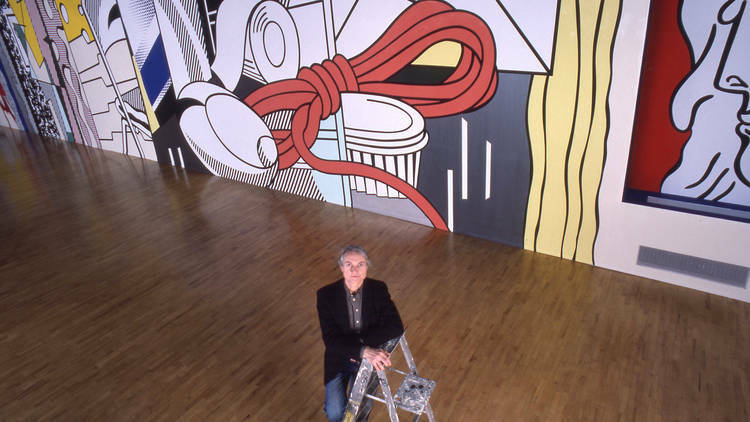 One of them, Pop-Art maestro Roy Lichtenstein, created an 18-by-96-foot wall mural in 1983 for Castelli’s cavernous space at 142 Greene Street in Soho. Now, more than 30 years on, Gagosian Gallery—which, minus Leo's innovative spirit, occupies the same place in the art-world eco-system he once held—presents this full scale replica of Lichtenstein’s piece. Though a copy, it still conveys the wow factor of the original. by Carla Goldberg and Erica Leigh Caginalp. Opening reception will be held on October 10 from 6pm until 9pm. These shows will run from October 10 through November 8. David’s work is about form, space and color. Fascinated by the edges and intersections that are distinguished through the play of simple geometric forms, he strives to create shapes and patterns that are beautiful three dimensional objects. While mathematical in nature, Link’s wooden sculptures are also about harmony and balance and his effective use of bright colors help make the work more whimsical and light hearted. CUNY Brooklyn educated, Cordero Gano was born in Poughkeepsie, NY and currently resides in Newburgh, NY. Cordero’s primary medium is video and he is currently employed as a freelance camera operator. His production company, Strength in Numbers Productions has produced content for such clients as Polaroid and Drink More Good. He’s also worked on numerous video projects with street artist, Ron English. As an exhibiting artist, Cordero finds solace in creating moods though still images. Cordero’s photos capture the intricacies and authenticity of real life while simultaneously depicting a fantastic cinematic world that only one can visit through the confines of his lens. Some of Cordero’s work can be seen at, www.corderogano.com. Vassar Studios Exhibit July 31, 2015 3:00 pm – 4:30 pm. Artwork by Art Institute Summer Intensive student. Poughkeepsie, NY – On July 31, 2015, students from the Art Institute of Mill Street Loft will exhibit their photography, paintings, drawings and sculptures at Vassar College’s Fine Art Studios at 2500 New Hackensack Road, Poughkeepsie. The exhibit will be open for viewing from 3:00 pm – 4:30 pm. Student artists will discuss their work and answer questions. The Art Institute of Mill Street Loft is a pre-college portfolio program for teenagers (ages 14-19) interested in pursuing college degrees in the arts and pursuing careers in the visual arts. Since 2000, their graduates have been offered over $35 million in merit-based scholarships to the nation’s leading colleges, universities and art schools. Motivated teens develop their ideas and build skills in the visual and media arts. Students learn how to strengthen their portfolios and explore advanced art techniques, presentation, critique, skills development, composition, emotionalism and advanced concept. Classes are held year around in fall and spring semesters with two-week long summer intensives. 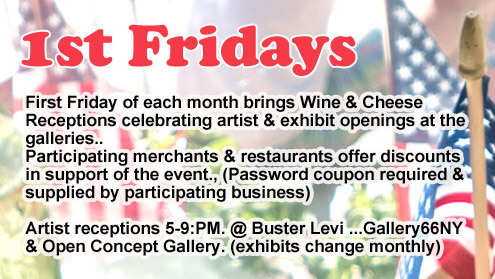 For more information, please call 845-471-7477 or visit https://millstreetloft.org. Mill Street Loft is a not-for-profit community-based, multi-arts educational center, dedicated to bringing a wide range of creative, educational, and culturally-enriching programs to diverse audiences throughout the Hudson Valley. Mill Street Loft is committed to supporting personal growth, fostering self-expression, and enhancing human services through the arts to make a difference in the life of our multi-cultural community. Opening reception will be held on December 13 from 6pm until 9pm. These shows will run from December 13 through January 4.